I’m currently travelling in the Far North of New Zealand and thought you might enjoy these two photos I took yesterday. 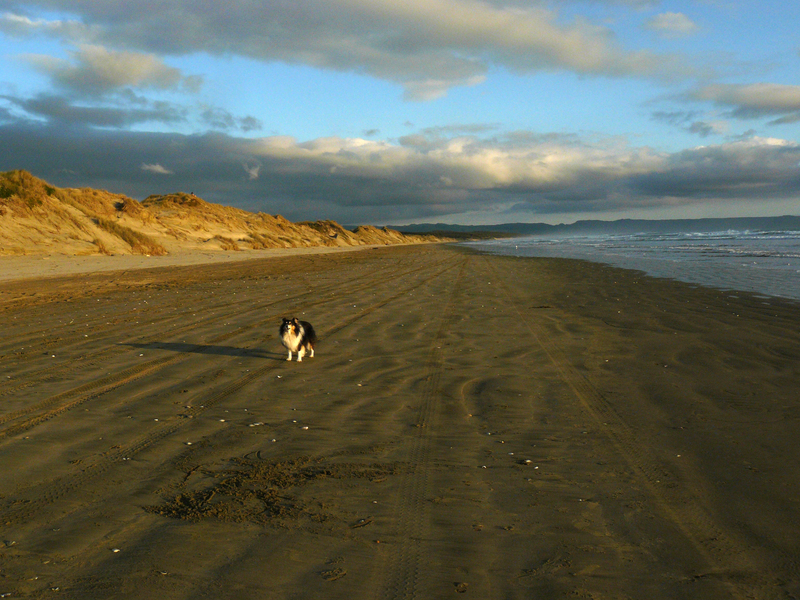 One is of my dog (Sheltie, Bonnie) on Ninety Mile Beach – top left-hand corner of NZ – which is actually more like 90 kilometres long, or about 50 miles. 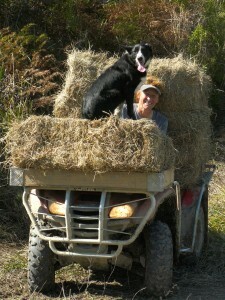 The other was of a woman farmer who was taking bales of hay to feed out to her cattle. I passed her on the road – she could hardly see – so I U-turned and went back and took some photos of her. I’m having fun (visiting schools for the charity that I work for, Duffy Books in Homes). 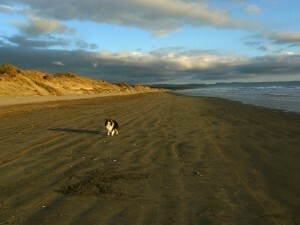 Some of our little schools are very remote so I get to all the nooks and crannies of NZ. This entry was posted on Saturday, August 27th, 2011 at 8:04 am	and is filed under General. You can follow any responses to this entry through the RSS 2.0 feed. You can leave a response, or trackback from your own site. 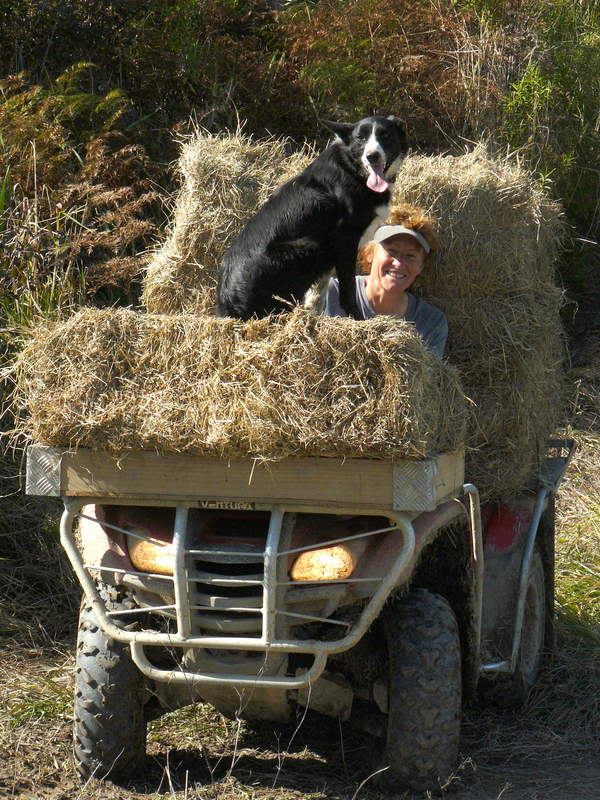 Great photos Jacqui! The North of NZ sounds great. Your job does too! I work in Distance Ed here in Perth, so have kids all around the State, but work in sight of the city!